All too often, we think of our minds and bodies separately. The reality couldn?t be more different: the fundamental fact about our mind is that it is embodied. We have a deep visceral, emotional, and qualitative relationship to the world?and any scientifically and philosophically satisfactory view of the mind must take into account the ways that cognition, meaning, language, action, and values are grounded in and shaped by that embodiment. 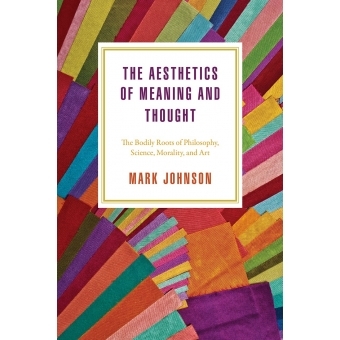 This book gathers the best of philosopher Mark Johnson?s essays addressing questions of our embodiment as they deal with aesthetics?which, he argues, we need to rethink so that it takes into account the central role of body-based meaning. Viewed that way, the arts can give us profound insights into the processes of meaning making that underlie our conceptual systems and cultural practices. Johnson shows how our embodiment shapes our philosophy, science, morality, and art; what emerges is a view of humans as aesthetic, meaning-making creatures who draw on their deepest physical processes to make sense of the world around them. Mark Johnson is the Philip H. Knight Professor of Liberal Arts and Sciences in the Department of Philosophy at the University of Oregon and the author of numerous books.